Motion Picture Capital, BFI and Creative Scotland today announce the start of shoot for Tell It To The Bees, a new film adapted from the critically-acclaimed novel by Fiona Shaw and now filming on location in Scotland. 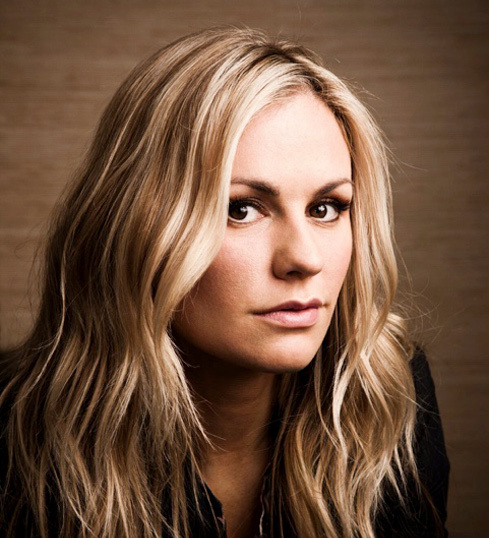 The film stars Anna Paquin (“The Parting Glass”, “Bellevue”, “True Blood”) and Holiday Grainger (“Tulip Fever”, “My Cousin Rachel”, “Cinderella”). Other cast members joining the production include Kate Dickie (Prevenge, “Game of Thrones”, Filth), Emun Elliott(“Trust Me”, Star Wars: The Force Awakens, Prometheus), Steven Robertson (T2: Trainspotting, “Doctor Who”, “Being Human”), Lauren Lyle (“Outlander”, “Broken”) and introducing Gregor Selkirk. The film has received production funding from Reliance Entertainment Productions 8, the BFI – awarding funds from the National Lottery – and Creative Scotland. Anna Paquin plays Dr Jean Markham, who returns to the town she left as a teenager, to take over her estranged late father’s GP surgery. When a school-yard scuffle lands Charlie (Gregor Selkirk) in her office, she invites him to visit the hives in her garden and tell his secrets to the bees, as she once did. The new friendship between the boy and the bee keeper brings his mother Lydia (Holliday Grainger) into Jean’s world. In the sanctuary of the Doctor’s House the two women find themselves drawn to one another in a way that Jean recognises and fears, and Lydia could never have expected. But, in 1950s small-town Britain, their new secret can’t stay hidden forever. The film is directed by Annabel Jankel, whose multifaceted career spans commercials, music videos, TV and film. Jankel was co-founder of animation company Cucumber Studios, whose work is now included in the permanent collections at the Victoria and Albert Museum, and of award winning commercials production company MJZ. Her directing work includes “Live from Abbey Road”, “Skellig: The Owl Man” andD.O.A. Tell It To The Bees was adapted from the best-selling Fiona Shaw novel by scriptwriters Henrietta and Jessica Ashworth (“Dixi”, “Fresh Meat”). It is produced by Reliance Entertainment Productions 8 and Daisy Allsop (Orthodox), Nick Hill (The Dinosaur Project, Edge of Love, Romance & Cigarettes), Annabel Jankel and Nik Bower. Producer Daisy Allsop said: “The BFI have given incredible support to Annabel’s original vision for this adaptation, and to the Ashworths’ gorgeous script, from the beginning. We are excited to be working with them into production, along with Creative Scotland who have welcomed us to the region and enabled us to attract fantastic Scottish talent in front of and behind the camera”. With production funding from Reliance Entertainment Productions 8, the BFI – awarding funds from the National Lottery – and Creative Scotland; the BFI also developed the project with producer Daisy Allsop. Production companies are Reliance Entertainment Productions 8, in association with Taking A Line For A Walk, Archface Films, Riverstone Pictures and Cayenne Film Company and Motion Picture Capital. Filmgate AB, Film iVäst and Twickenham Studios co produce. Executive Producers are Deepak Nayar, Alison Owen, the BFI’s Lizzie Francke and Ben Roberts, and Sunny Vohra. World sales are being handled by London based sales and finance company Film Constellation whose current slate includes London set musical Been So Long starring Michaela Coel; Rory Kennedy's surf epic Take Every Wave starring Laird Hamilton; New-York set romance Permission starring Rebecca Hall and Dan Stevens and David Lynch’s The Art Life.